U Turn is a Kannada language supernatural suspense thriller written and directed by Pawan Kumar. 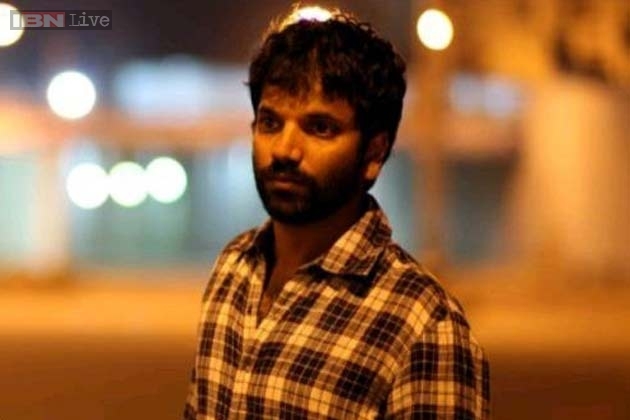 Pawan Kumar blew me away with his amazing low budget Kannada film Lucia. Lucia had twist after twist and I never knew what was going to happen next. U Turn starts upside down. Literally. We see the divider of a road, and the camera travels along it, but upside down as the opening credits roll. Then the camera does a u-turn and continues to travel the urban highway. Throughout the film there are ‘U’s sprinkled around, both in the visual framing of shots, and horseshoe knockers on doors, etc. Shraddha Srinath, the star of the film, is introduced to us in a really clever way. Rachana (Srinath) is riding in a rickshaw with her mother, and through their arguing we learn that she’s single, that her mother is pressuring her to marry, that her family is going away on a trip, and thus she will be alone. It’s a really clever bit of writing. She draws the rickshaw driver into the argument, showing us a bit of her moxie and personality. Rachana is an intern reporter at The Indian Express. She’s working on a story about people who make illegal u-turns on the flyover highway, moving the divider bricks out of the way, but not returning them after they make the turn. She has a homeless guy at the intersection writing down their license plate numbers. She goes to interview one of the drivers but he doesn’t answer the door. Later that night after she is dropped off from her first date with the crime reporter, Aditya (Dilip Raj), the police come and arrest her. The police interrogate her as she had written her name in the visitor book, and is the last person to visit a man, found hung in his apartment. They don’t believe her at first that she is a reporter and working on an investigative story. Finally, the young cop, Nayak, listens and checks out her version of events. Roger Narayan played Nayak and he was my favorite actor in the whole movie. He was great, and had a lot of subtle reactions. You can tell he has a bit of a crush on Rachana, but he plays someone trying to hold it back, but still let’s you see it. I admire Pawan Kumar for turning some conventions on their head. Rachana is the active heroine of the script, and later her boyfriend Aditya takes on the ‘damsel in distress’ role, and she tries to save him. Shraddha Srinath did a good job carrying the film, and while he doesn’t have as much screen time, Dilip Raj shone in his supporting role. I saw U Turn in a theater, and while there were a few jumps that scared me, the film just didn’t have enough suspense or thrills for me. It’s based on a real incident, evidently, but the film did not have the magic of Lucia for me. Part of the problem was the score. The background music is critical in a suspense film, and this music just did not evoke the creepiness or scariness that it should. The recent low budget Tamil film Pizza had not only music but a soundscape that added greatly to the creepiness. U Turn is a good film, but it just wasn’t as scary and creepy as I was hoping it would be, or as mind-bending as Lucia. Three and a half stars out of five. On my Quora post, over and over again, the Kannada commenters listed Lucia by Pawan Kumar as a recommended film. I watched the trailer here and the film is a total mind f*ck kind of trip. Watch the trailer, and you’ll get a taste of what I mean! First, the way the film got made is totally interesting on its own It was crowdfunded! One of the production thingies at the beginning is “Audience” films, and then they show a grid of like 100 youtube videos of people holding signs. 110 people contributed to make the film, for like $70,000. It won the audience award at the London Indian film festival, where it premiered, and was short listed for the Oscars film from India. It’s a micro-budget film, but one of those indie feeling films where they were super creative and did a LOT with very little. It would totally fit in at Sundance. So, what’s it about? Lucia is the name of the Lucid dream drug. The movie starts with policemen investigating why a certain patient is in a coma — and news TV debates whether euthanasia should be allowed. The movie is very non-linear. We flash from color scenes of Nikki, a “torch-shiner” or usher in a tiny little theater in Bangalore, who lives in a shack with 4 other guys. He’s an insomniac, and a local drug-peddler gives him a sleeping pill, Lucia, that will give him dreams so real, he’ll feel that he lived them. But if he stops taking the pills, the dreams become nightmares. The dreams are in black and white, and suddenly Nikki is Nikhil, a movie star! It’s like Wizard of Oz in reverse, as all the people in his humble life are in the movie star life, which is black and white. His uncle the little theater owner, is now his trusted manager. The pizza parlor waitress girl he’s crushing on as Nikki, is his item number girl in the movie he’s filming. Lots of meta commentary on the value of the little tiny one screen theaters. And life as a movie star in India, etc. The main actor, Sathish Ninasam, who plays Nikki/Nikhil is amazing. He is this humble sweet poor schlub Nikki, who doesn’t even think he deserves a cute pizza parlor girl and then he has this amazing confident movie star air as Nikhil. The main actress who plays the pizza parlor girl and the item number girl, the love interest in both worlds, is pretty good. I especially love her as the spunky pizza parlor girl. She tries to get Nikki to learn English and get a job at a multiplex, which leads to some very humorous scenes. The film has sweetness, and a very filmi romance while also being a near Matrix level psychological — which-world-is-real kind of sci-fi plot. This is an Indian film where the script is truly king. It is quite the story — certainly not like anything else in Indian film, and yet, with the dual role, so very filmi at the same time! Highly recommend this quirky strange wonderful Kannada film. 4 1/2 stars out of 5. Rent Lucia for $2.99 on Youtube with English Subs.